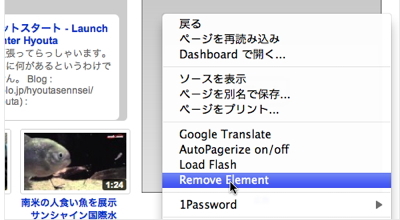 ClickToFlash replaces every Flash element by a placeholder element (fig. 1) before the browser starts fetching the Flash content. 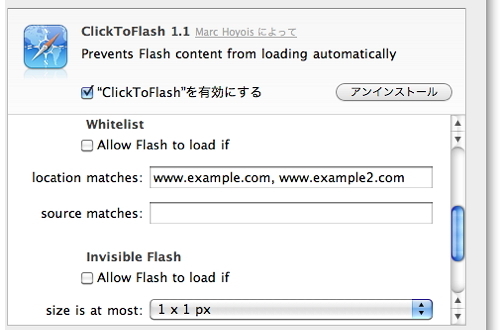 The user can load the Flash content manually by clicking on this placeholder.